A numbers game: Is census delayed justice denied? On a busy market road in Kuchlak, a primarily Pakhtun locality on the northern outskirts of Quetta, Ameer Khan Kakar manages one of three local offices of the Pakhtunkhwa Milli Awami Party (PkMAP). 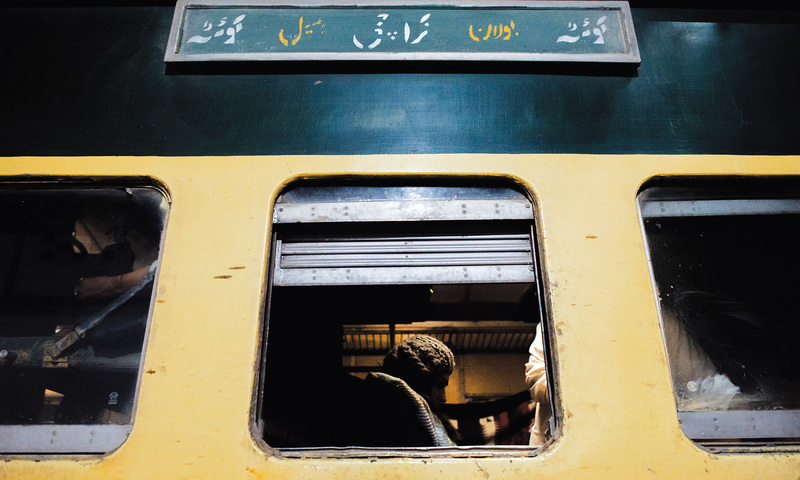 Ameer Khan Kakar has spent the past few years arguing that his neighbourhood is under-represented: it has no provincial or National Assembly seats of its own — just one union council for its 500,000 residents. He hopes an upcoming census will lead to new constituency boundaries that better reflect Kuchlak’s demographics. In Balochistan, the proposed census is not a neutral and bureaucratic exercise at counting people. In fact, it may end up solidifying and exacerbating divisions and tensions between the province’s Baloch and Pakhtun populations. According to a housing count carried out in 2011, a precursor to the census, Balochistan’s population doubled from 6.5 million in 1998 to 13 million in 2011. This population growth rate is higher than that in any other province. The province’s northern Pakhtun belt, including areas in and around Quetta, account for most of this growth. One Pakhtun-majority district north of Quetta, Qilla Abdullah, is said to have grown by more than 500 per cent between 1998 and 2011 — from 370,000 residents then to over two million now. Using mother tongue as a proxy for ethnicity, the 1998 census reported that a little over half the people living in Balochistan – 55 per cent – identified Balochi or Brahui as their mother tongue while just 30 per cent identified Pashto as their mother tongue. These numbers are expected to change drastically if the extremely high population growth rate in areas dominated by Pashto-speakers – as reported in the 2011 house count – is anything to go by. The government, however, has discarded the house count data, terming it highly flawed. While mother tongue does not have any material impact on the distribution of resources, higher numbers of people in the province’s northern Pakhtun areas will necessitate redrawing electoral constituency boundaries in places like Kuchlak. In fact, the decennial census – which is a constitutional requirement – constitutes the basis for revising and updating electoral rolls, and the Election Commission of Pakistan (ECP) already has plans to redraw constituencies in time for the 2018 election. Usman Kakar, a senator for PkMAP, says increase in Pakhtun population will also strengthen his party’s other demand: to redraw administrative boundaries. “At the moment, 22 of Balochistan’s districts exist in the Baloch areas, and only seven in the Pakhtun ones,” he says. “This means that the district quotas for civil service jobs and college seats end up favouring the Baloch because their areas have more districts than ours do.” He wants the districts constituted on the basis of population, rather than on geographical considerations — each district having more or less the same number of people in it. The insurgency prevented census officers from entering Kech, Panjgur and Khuzdar districts for the housing count in 2011. Exacerbated divisions and tensions as a result of the census are no surprise, according to social anthropologist Madiha Tahir. She points out that statecraft and census taking play a key role in the creation of distinct categories of ethnic groups that can potentially become divisive over time. 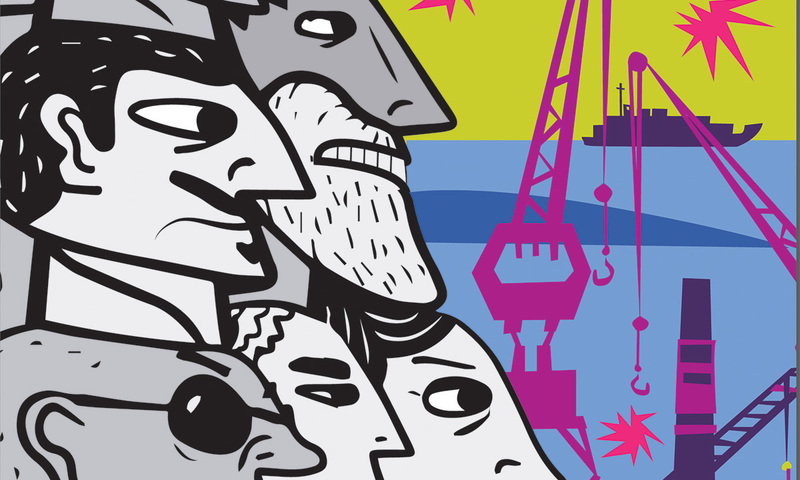 “The census plays into a long history of language politics in South Asia. It solidifies ethnic politics by counting ethnicity on the basis of one’s mother tongue. This is not merely a matter of counting, it is actually a matter of making ethnicities and solidifying them according to the needs and goals of the state,” she says. According to Sadiq Baloch, a journalist based in Quetta, the divisions have been solidified in Balochistan over the past many decades. Once a member of the National Awami Party (NAP) – which united Pakistan’s ethnonationalists on a shared socialist platform – Sadiq Baloch has witnessed the fragmentation along ethnic lines of otherwise politically aligned activists. This time around, the Baloch nationalists represented in the assemblies are concerned that that they will be deliberately excluded. Jamaldini points to a famous case in which 40 officers of the National Database and Registration Authority (Nadra) were arrested for issuing more than 80,000 fake Computerised National Identity Cards (CNICs). He cites this as proof that the Afghans are being registered as Pakistanis in large numbers, particularly in Balochistan. Jamali argues that financial incentives for the Nadra officers, who are offered large sums of money for local CNICs by wealthy migrants, and the local interests of Pakhtun political workers committed to garnering votes for elections, are the reason why the Afghans are getting Pakistani identity documents in large numbers. Jamali is referring to the mass migration of Afghans into Quetta that took place after the American invasion of Afghanistan in 2001 onwards and the Pakistani state’s involvement in the internal politics of Afghanistan. 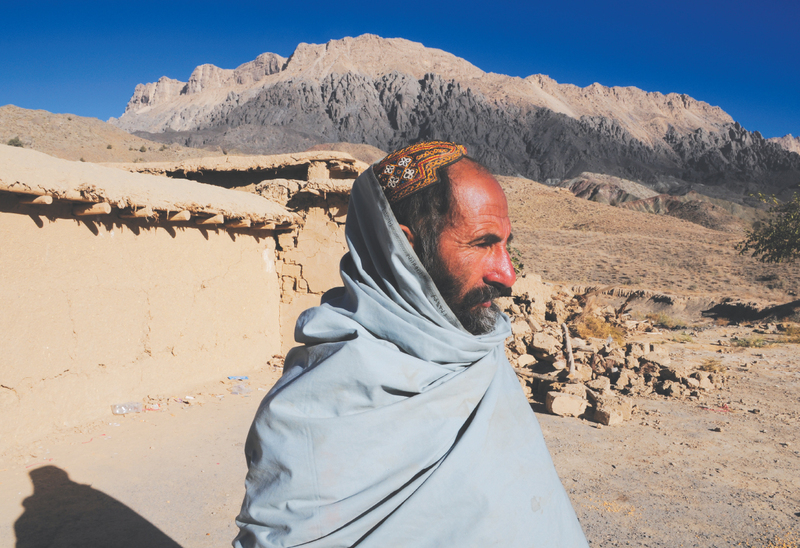 For the Baloch nationalists, however, the war in Afghanistan is not the only conflict affecting the proposed census. Since the confirmation that Pakistan is getting 46 billion US dollars for the China-Pakistan Economic Corridor (CPEC), they claim, army operations have been launched on a more frequent and wide-ranging scale across the province than before. The Baloch nationalists in the government see these operations as a sign that Balochistan remains in a state of war. Dr Abdul Malik, who was chief minister of Balochistan between the middle of 2013 and the end of 2015, says militant separatists have already announced that they will boycott and disrupt the census. In fact, the insurgency prevented census officers from entering Kech, Panjgur and Khuzdar districts for the housing count in 2011. Voter turnout in the 2013 election also remained historically low – in one case it was as low as one per cent – after separatist groups announced a shutter-down strike on the day of the polling. The Human Rights Commission of Pakistan (HRCP), however, argues this will only create more problems. The army’s role in extrajudicial kidnappings, torture and killings is a source of serious anxiety among the Baloch; so are the ongoing army operations. Several interviews with the Baloch in and around Quetta make it clear that many among them, especially young boys, actively avoid any interaction with the armed and uniformed officers of the state. Several Baloch boys claim the soldiers use a scissor to cut the length of their shalwars and moustaches if they are caught passing a checkpoint in the city. “We try to stay away from the cantonment and any checkpoint we see, as much as possible,” says one student in Quetta. In an atmosphere where the Baloch population and the army lack mutual trust, the presence of soldiers in the company of the census takers may force many in the Baloch-dominated districts to stay away from the population count either in boycott or because of security fears. This may result in a systematic exclusion of the Baloch — especially in the insurgency-hit southern districts. “We are not going to chase people into the mountains. If they refuse to take part in the census, we can fine them or at the most throw them in jail but we are not going to go out of our way,” says the government source. At a CCI meeting on March 25, 2016, Sindh Chief Minister Syed Qaim Ali Shah insisted the census begin immediately, at least in Sindh. When the unavailability of military personnel came up as a reason for delaying the exercise, he suggested that the population count be done in phases, starting with his province. “Sindh’s population was shown less than its actual count in previous censuses, seriously affecting the allocation of resources to the province from the federal divisible pool,” complains Taj Haider, senior leader of the Pakistan Peoples Party (PPP), the province’s ruling party. Unlike in Balochistan, where one ethnic group fears exclusion or understatement of its numbers and thus opposes an immediate census, all ethnic and political entities in Sindh want the population count to be carried out immediately. A resolution demanding the federal government to hold the census forthwith was passed at an All-Parties Conference (APC) convened by Chief Minister Shah on February 21 this year. The APC resolution, according to Haider, was the principal document the chief minister presented in the CCI meeting to argue the province’s case. It demanded the CCI devise a transparent and credible process for the census, and carry it out under the supervision of the respective provincial governments. It also demanded the provincial governments be given the authority to appoint provincial government employees as enumerators and supervisors. The responsibilities of storage, processing and computerisation of the census records should also lie with the provinces, stated the resolution, besides suggesting a limited role for the armed forces in the exercise: just supervision and the provision of security. The census itself should be carried out by civilian officials through biometric devices and the data then matched with Nadra’s records. Sindh’s population was shown less than its actual count in previous censuses, seriously affecting the allocation of resources to the province from the federal divisible pool. The PPP gives the impression that everything contained in the APC resolution was unanimously accepted by the participants. 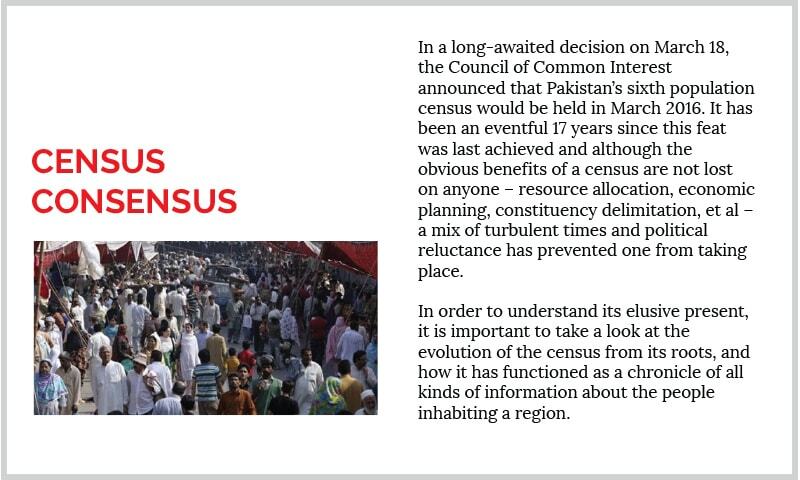 Yet the consensus remained limited to the need for conducting an immediate and transparent census. Leader of the Opposition in Sindh Assembly, Khwaja Izharul Hassan, who led the Muttahida Qaumi Movement (MQM) delegation in the APC, says he and his party’s delegates disagreed with the procedure recommended in the resolution. “I opposed the demand for appointing provincial government employees as enumerators and supervisors as they have no expertise or experience in carrying out a massive exercise such as a house count and headcount,” he tells the Herald. The MQM, he says, wants the armed forces to carry out the census. “I opposed the suggestion of keeping the army’s role limited to only supervision and, instead, recommended the personnel of the armed forces themselves do the count.” One cannot rule out the possibility of ethnic or linguistic prejudices undermining or tainting such an important undertaking as the national census if it is not done with the required safeguards being in place, he contends. The counterargument is premised not on the claim that civilians are better census takers than military officials but on the non-availability of the soldiers. “How can the army spare a huge number of troops required for the census? And even if it can, we do not know when they will become available because they are busy in a massive operation against terrorists in many parts of the country,” argues the PPP’s Haider. Sindhi nationalist groups claim having raised another issue that could not make it to the joint resolution: the presence in Sindh of settlers and migrants from other provinces and countries respectively. Abdul Khaliq Junejo of the Sindh Progressive Committee – an alliance of Jeay Sindh Mahaz, Communist Party of Pakistan, Awami Workers Party and Awami Jamhoori Party – says the province hosts around 3.5 million illegal immigrants from countries such as Afghanistan, Bangladesh and Mayanmar, particularly in urban centres. Besides this, he says, Sindh has witnessed a heavy influx of people from other provinces during the last 15 years or so. “If illegal immigrants and settlers are registered among the population of the province, Sindhis will definitely be reduced to a minority in their own land,” says Junejo. He wants the census postponed until illegal immigrants are repatriated and a decision taken for not registering settlers hailing from other provinces as residents of Sindh. He cites the example of Indian-administered Kashmir where, he says, outsiders can live and do business but are not given the status of permanent residents. Haider has a different viewpoint. 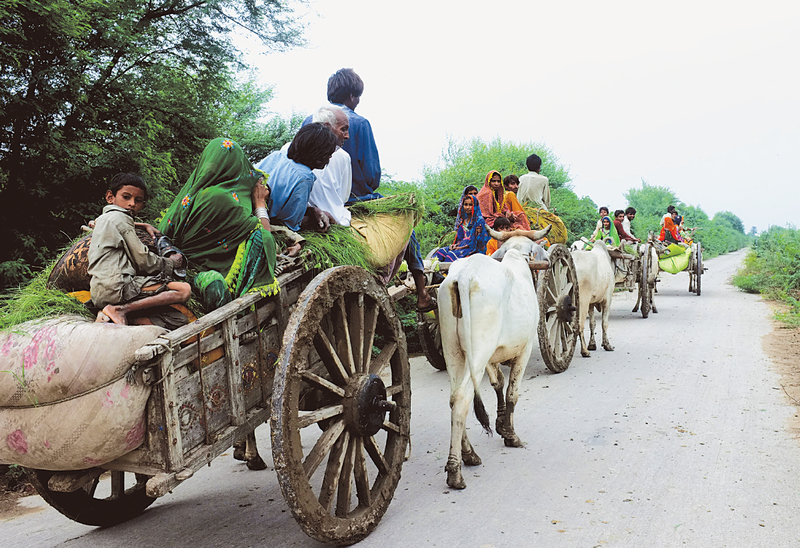 Settlers and illegal migrants are a burden on the provincial resources and, therefore, must be counted as living in Sindh so that more resources can be demanded from the federal divisible pool to cater to their social and economic needs, he argues. Khan claims he shared his reservations with the military high command and senior civilian officials at a high-level huddle at the Corps Headquarters, Peshawar, in February this year. Chief Statistician at the Pakistan Bureau of Statistics, Asif Bajwa, also backed his argument, says Khan, adding that he has told Khyber Pakhtunkhwa Chief Minister Pervez Khattak that the census can be carried out without the military’s assistance. Mushtaq Ahmed Ghani, spokesperson for the Khyber Pakhtunkhwa government, disagrees with Khan. The provincial government, according to him, believes there will be a huge question mark over the accuracy of the census if it is held without the army’s involvement. Ghani also argues in favour of delaying the census until the military can spare sufficient personnel to carry it out. The central government has a strong argument to postpone the census due to the non-availability of the troops, he says. The other problem delaying the census, according to Khan, is the house listing survey carried out in 2011 that suggested an 11 per cent drop in Punjab’s share in Pakistan’s total population — from 56 per cent to 45 per cent. This apparent reduction is difficult to accept for policymakers and politicians in Punjab. A diminished population means a lesser share in the National Finance Commission (NFC) award that distributes federal taxes among the provinces, says Khan. Punjab, therefore, is alleged to be stalling the census, he adds. Ghani agrees that some untold story involving the Punjabi-dominated central government is behind the delay in the census and argues that deferring the population count is causing serious problems in resource distribution and allocation. “We have a much larger population than the projected/estimated figures. This adversely affects our share in the NFC award as well as the number of constituencies we have in the National Assembly,” says Ghani. Ali Raza, an urban planner based in Lahore, wrote an article, How urban is Pakistan?, in 1998, immediately after the last census had taken place. He argued the census had failed to define the term “urban” correctly. Let me just say it as it is. We are all Afghans. The Durand Line [that marks the border between Pakistan and Afghanistan] is nothing but a line in the sand that somebody drew 100 years ago. Dr Amanullah, chief economist at Punjab’s planning and development department, agrees the province has undergone serious demographic transformation. “Urbanisation is occurring rapidly,” he says, “and it is possible that the population of the districts in southern Punjab has become almost 40 per cent of the province’s total population.” According to the previous census, the population of these districts was less than 30 per cent. The other important change, according to Raza, is that Punjab’s share in Pakistan’s population may have decreased. A new census is certain to prove that, he says. Since the division of federal money among the provinces is tied closely to their share in the country’s population, Punjab finds existing official statistics – no matter how outdated – helpful for garnering more money than it may get based on its actual current population. The relationship between population and distribution of financial resources offers a serious insight into why Pakistan has struggled to evolve as a stable federal state. The idea that federal tax revenues are distributed among the federating units on the basis of their population first arose when Pakistan had two wings — East Pakistan and West Pakistan. Since the former was more populous than the latter, politicians and economists there argued that it should get money for development in accordance with its share in the population. At the time, the ruling elite that almost exclusively came from West Pakistan rejected that demand — leading to the secession of East Pakistan as Bangladesh. In the post-1971 Pakistan, the idea that population be the criteria for distribution of financial resources suddenly became acceptable to the same ruling elite. The reason was straightforward: it favoured Punjab — politically, militarily and economically the strongest part of Pakistan. Population, however, is no longer the only criterion for resource distribution though it still remains the most important one. In 2010, under the seventh NFC award, the then government broadened the criterion by bringing in other factors such as the size of a province, its economic backwardness, poverty level and revenue collection. Punjab government officials insist these additional factors will help them get the same share in the NFC as before even if the province’s share in the country’s population has gone down. That could be a wrong assessment: on account of size and backwardness, Balochistan is certain to get more money than any other province; Sindh may take the biggest share on revenue generation. In the absence of credible figures on poverty, it is difficult to assess which part of the country is the poorest though Punjab is highly unlikely to be that part. Punjab Finance Minister Ayesha Ghaus Pasha says the government has tolls to ensure equitable resource allocation and fair delivery of services within Punjab. The data collected through official exercises such as the Pakistan Social and Living Standard Measurement, and the Multiple Indicator Cluster Survey is used to attain this, she says. These exercises are conducted regularly and are representative of the underlying changes taking place in the province, she tells the Herald in an interview. Sources in the provincial government reveal that independent economists have also recommended the census be carried out early to get a clear statistical picture for planning and development. “In meetings with Chief Minister [Shahbaz Sharif], it has been articulated quite clearly by Dr Ijaz Nabi and other economists that proper resource allocation cannot be done until a census occurs,” says Amanullah. Back in Kuchlak, Ameer Khan Kakar sits cross-legged on the floor of his office. As a local, he is relatively good at identifying everyone who comes into his office. As he fields questions about the influx of Afghan refugees, he points out that the distinction between local Pakhtuns and those from Afghanistan is as superficial as the questions that he is asked. In an earlier version of the article, it was misstated that according to the housing count carried out in 2011, Balochistan’s population grew by 200 per cent since 1998. The number doubled by 2011 — an increase of 100 per cent. This was originally published in Herald's May 2016 issue. To read more subscribe to the Herald in print. Without having an honest census, federalism will never work. Pakistan should learn from India on this. You are all an individual. NOT a category! 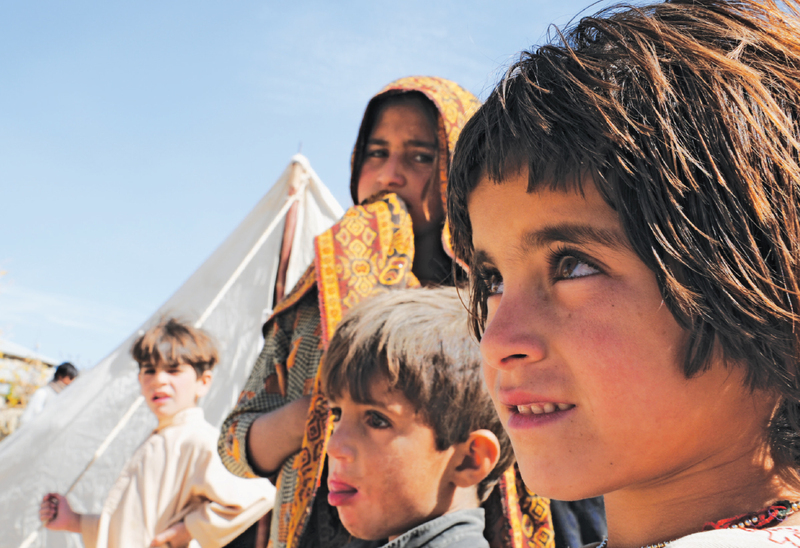 The increase in the number of Pakhtun population in Balochistan seems realistic, even if there are some cases of fake ID cards issued to Afghan refugees. Quetta has remained the center of Pakhtun population and their gateway to Karachi over the last century. The way Baloch nationalists want to keep status quo may not work even if their reservations over Gwadar and CPEC are considered genuine. Administrative re-demarcations are usual things the states do everywhere. Maps and demographics change, that's why states conduct census and reorganize its provinces. If the percentage of Baloch and Bruhai population has reduced in relation to that of Pakhtun population, then it should not be considered as a conspiracy but rather as demographic change. Just go ahead and count the heads in as many districts as possible in the first phase. Do the security vulnerable districts in the second and third phases. Allow Baloch nationalists to play a greater role in the census. This is a sham democracy crowded by despots and feudal lords aka criminals who want to loot as much as possible. "When asked about it, Ameer Khan Kakar interrupts and says that even the Pakhtun and the Baloch are not necessarily as divided as they are being made out to be. He cites the example of his own family. “My wife is a Baloch, my mother-in-law a Pakhtun and my brother is a member of the BNPM.” "
This guy makes his living by dividing the Pakhtun and the Baloch. And yet his own family, like everyone else living in the province doesn't care about these things. We don't accept election results - we don't agree on how to conduct census - Kya Hoga Is Mulk Ka! Pashtuns boycotted 1998 census on request of PKMAP, a share holder in sitting government in Bal. Rallying on 1998 (Baloch 50%, Pashtun 35 % while the remaining 15 % are Hazaras and Urdu speaking community in Quetta) census for distribution of resources for so long / future will be injustice. Fair solution and point out Afghan Refugees in Pashtun Belt and Iranian Baloch in Noshki, Dalbandin having nationalized themselves and holding of census at the earliest to ensure fair distribution of resources and political dispensation accordingly. If Pakhtoons cant trust Baloch led governments and claim that the rise of population in Pakhtoon areas is not because of migrants and refuse to accept the Durand line then I have a solution and belive it or not every Pakistani icluding our Pakhtoon brothers living in Balochistan will agree with it, solution will be to create a new province for our Pakhtoon brothers living in Balochistan. The Pakhtoon areas were never a part of Balochistan before the british rule at the first place. Pkmap's top manifesto, over the decades, was to create a new province for pakhtoons in Balochistan, however, this ambition disappeared into thin air after consolidating power. The point here is that the Baloch will not agree to share the remaining resources of Balochistan with Afghan migrants and will not compromise representation of Balochistan in National assembly. Any wrong step will pour salt on the wounds of Baloch nation which could lead to furthur escalation of situation in Balochistan. 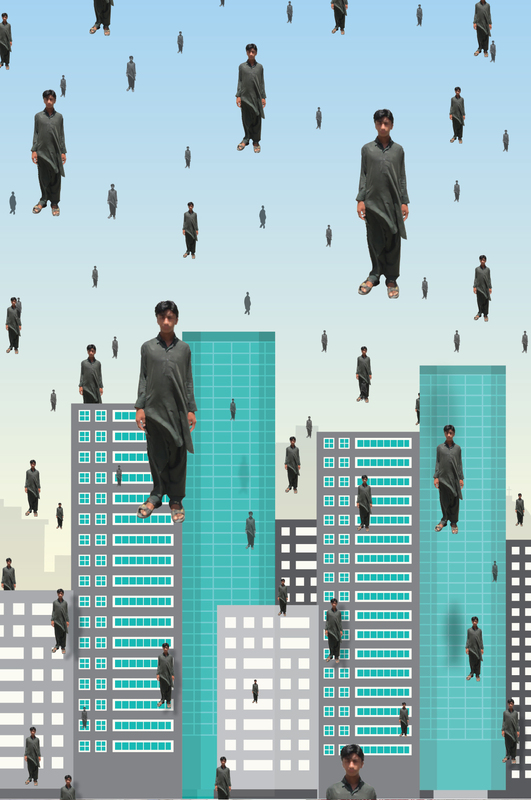 You say: "According to a housing count carried out in 2011, a precursor to the census, Balochistan’s population grew by 200 per cent — from 6.5 million in 1998 to 13 million in 2011." That is 100% growth not 200% growth. Get your arithmetic right.